This is one of those rare games where it doesn’t actually matter who wins – between these two sides specifically, the fantasy tide is dictated by the contrasting playing styles rather than the scoreboard. Don’t just take my word for it though. Richmond have won both meetings this year, and easily too, by 43 and 28 points. 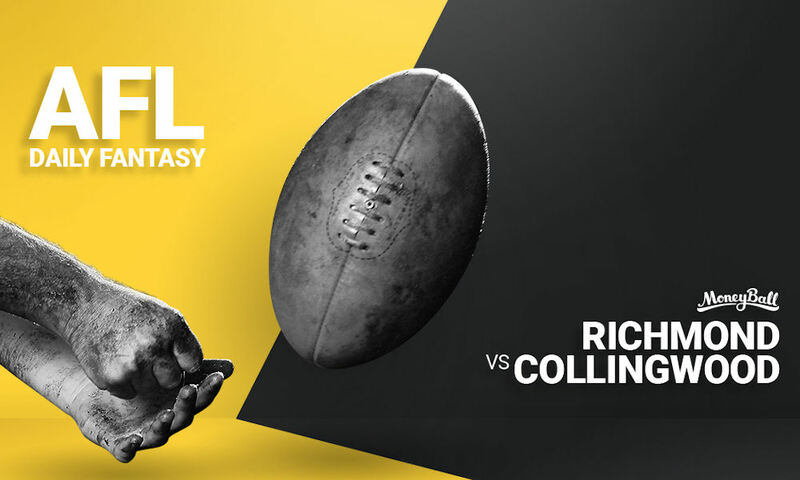 However, Collingwood outscored them handily in fantasy terms in both games – by 313 and 153. It comes down to how Richmond plays a high pressure, suffocating play style, while the Pies like to leverage their advantage in the midfield by controlling the footy. The Tigers will allow the Pies to do whatever they want in the guts, as they average the 2nd-least clearance per game this year. This has allowed the Collingwood MID’s to score with ease on both occasions, with their top 4 scorers averaging a huge 133 and 127 between in those games, respectively. For comparison, Richmond’s were only 109 and 88. To put it simply – we’re targeting Collingwood midfielders here, and using our FWD/DEF slots to allow us enough cash to afford a couple of the high-ceiling options. To put the exclamation point on this trend, Flip’s scores when racking up 32 or more touches this year are 131, 128, 120, 143 and 116. If Phillips were a nice little rental property, he’d be a modestly-priced gem with charmingly high ceilings. He’s been in the wars lately (hospitalised with sickness two weeks ago, dental issues last week), but there’s no doubt Pendles is a big-game player who steps up when required. In fact, his scores in Prelims and Grand Finals since 2008 reads 113, 141, 103, 131 and 125. His affordable price is very tempting here, despite his lack of recent ceiling. Both ruckmen just exchange haymakers when they face each other, with Grundy pumping 123, 115 and 147 in their last three meetings and Nankervis not far behind with 94, 131, and 94 of his own. The big question that looms is simple; is Grundy worth the extra $3k? These numbers suggest he might be… His last 3 games at MCG have resulted in scores of 147, 147 and 111, while no ruckman has scored 95+ against Collingwood’s All-Australian ruckman since Round 7 this year. The reason why Nank stays in the conversation is this: he dominates in victories, and the Tigers are currently paying $1.38 to be battling it out in a Grand Final next weekend. It’s not a little uptick either; he averages 92 in wins this season, compared to just 74 in losses. Ultimately, in order to afford the MID’s you want, you might want to settle for Nank’s 90 in order to spend your $3k elsewhere. Collingwood have conceded the most points to DEF’s on average over the past 7 weeks, which is huge considering teams like Gold Coast and Carlton exist. Their backline has definitely become a vulnerability of late, especially with Dunn, Scharenberg and Moore all winged with injuries over the course of the year. Houli is the most consistent possible beneficiary from the Tigers, with all his scores in the last 5 weeks falling between 70 and 87. A veteran head, but he’s definitely lost the potential to go bang this year. On the other hand, Conca has the ability to go triple figures, which he’s done 3 times this year. He’s coming off 80, 75 and 75 in his past 3 games. Short completes the trio and has been the best performing DEF against the Pies this year with an admittedly lukewarm 77 and 76. However, with scores of 90 and 87 within the last 3 weeks, there’s certainly the potential for him to be a slate changer here with what I assume will be low-to-modest ownership. You’ll simply need someone in Hoskin-Elliott’s price range to even enter a team on Friday night, so you might as well pick the bloke in strong form. Outside of this mysterious knee/corkie issue (which has barely allowed him to train over the past two weeks), the clamp could be on. He was tagged by Greenwood last time these teams met, finishing with 80 AF even though he was able to expose Levi as a defender with 3 sausage rolls. Collingwood rarely tag, but you tend to make an exception with the reigning Brownlow Medallist, right? As a disclaimer though – the guy is serious quality who always plays well in big games. He’s pumped out 4 scores of 110+ in the past 5 weeks, whereas he only managed that feat just 3 times over the other 17 games this year. He’s peaking at the right time, but can he still accumulate with a debilitating corkie issue?